Elf Dance by JibJab® Android - Free Download Elf Dance by JibJab® App - JibJab Media Inc.
"Make a fun Christmas video with your photos"
Rating: The TOP 5 Most popular Apps in Dance category. Elf Dance by JibJab® is related to Android apps, Art - Design, Lifestyle. 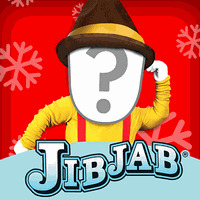 Do you like Elf Dance by JibJab®? YOu may also use allavsoft to download jibjab videos. Play Tik Tok dance videos in slow motion and learn the moves!